Former New York City Mayor Michael Bloomberg promised to “expand” his support for the Sierra Club’s anti-coal campaign. Bloomberg has already pumped $110 million into the “Beyond Coal” campaign, and more money is likely on the way. 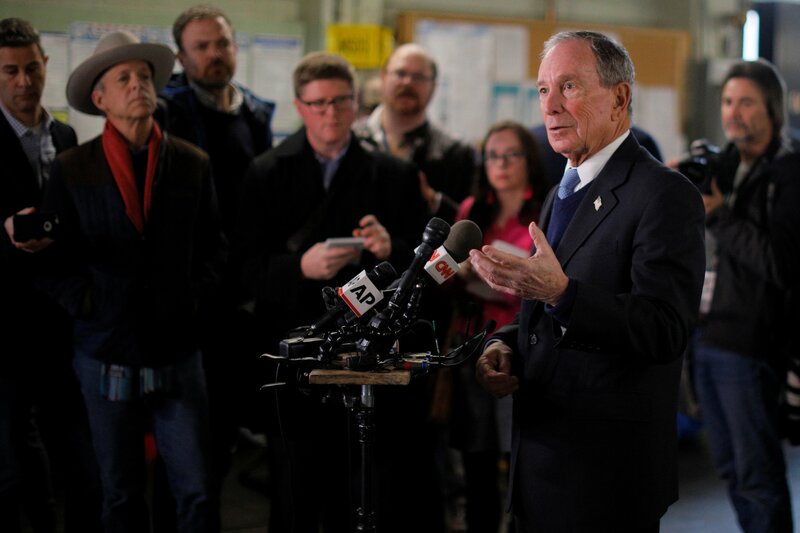 Bloomberg announced he would not run for president in 2020 but will instead focus on activism. Former New York City Mayor Michael Bloomberg’s decision not to run for president in 2020 has at least one group very excited — the Sierra Club. Bloomberg’s goal is to close every U.S. coal plant in the next 11 years, a goal the Sierra Club reacted quickly to embrace. Bloomberg has already donated $110 million to the Club’s anti-coal campaign, and his op-ed suggests more funding is on the way. Brune was also excited about Bloomberg’s Beyond Carbon campaign, which aims to get the U.S. off oil and gas “as quickly as possible.” Bloomberg gave no details, but Brune’s tweet suggests environmental groups could play a role in this effort. However, Republicans and coal industry supporters have seen Bloomberg’s effort as part of the “war on coal” that’s ravaged communities, particularly in Appalachia, and exacerbated the opioid crisis. The Trump administration said the “war on coal” was over, rolling back some regulations on coal mining and combustion, but power companies are continuing the trend in the Obama years of shuttering coal-fired power plants. Bloomberg pumped $64 million into the Sierra Club’s anti-coal campaign in 2017, which brought his total support for Beyond Coal to $110 million since 2011. Prior to that, the Sierra Club took money from a natural gas company to attack coal. “And second, I will launch a new, even more ambitious phase of the campaign — Beyond Carbon: a grassroots effort to begin moving America as quickly as possible away from oil and gas and toward a 100 percent clean energy economy,” Bloomberg wrote. However, Bloomberg also took a swipe at the Green New Deal resolution backed by many Democratic 2020 presidential hopefuls. He said it has no chance of passing in the near future. The Green New Deal, introduced by New York Democratic Rep. Alexandria Ocasio-Cortez and Massachusetts Democratic Sen. Ed Markey, calls for a radical transformation of the U.S. economy, including being carbon neutral in 10 years and massively expanding the welfare state.